The man who was accused of threatening CTA passengers at the Belmont Red Line station with a hatchet on Oct. 10th has reached a plea deal. Prosecutors charged 39-year-old Gary Smith with aggravated assault with a deadly weapon, reckless conduct, and probation violation after witnesses reported that he displayed a hatchet on the CTA platform and told a 35-year-old man, “Imma f*ck you up.” A CTA worker also reported seeing Smith “menacing” the man as well as other CTA patrons, according to police. No one was injured. Smith has now pleaded guilty to aggravated assault with a deadly weapon. Prosecutors dropped the other charges in the deal that saw Judge Anthony Calabrese sentence Smith to an 80-day jail sentence with credit for 42 days served awaiting trial. A 34-year-old man who was accused of fracturing a Lakeview man’s jaw and knocking out four of his teeth during a bar fight in Wrigleyville early on New Year’s Day 2018 has reached a plea deal. 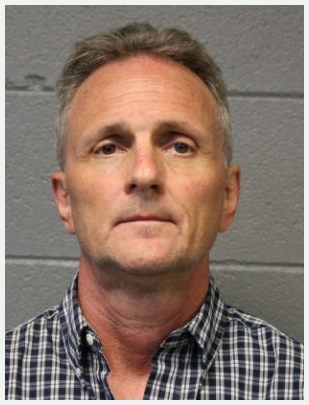 Pete Slowik of the 1100 block of West Roscoe was also accused in court papers of putting a second man into a choke hold and rendering him unconscious during the incident at Stretch Bar & Grill, 3485 North Clark. Slowik has now pleaded guilty to one count of aggravated battery causing great bodily harm. Four additional counts of aggravated battery were dropped in the plea agreement. Judge Angela Petrone sentenced Slowik to 21 months probation and levied a $399 fine. Kenneth Manning, 22, the transgender woman who repeatedly skipped bail and was repeatedly bailed out again by a charity bond fund, has resolved her robbery case. In May 2017, a 25-year-old man told police that he was walking in the 3200 block of North Halsted when Manning and co-defendant Edward Smith pushed him into a driveway and robbed him around 3 a.m.
Now, Manning has reached a plea deal in which she has pleaded guilty to aggravated battery in exchange for a sentence of two-years probation. Prosecutors also agreed to drop robbery and unlawful restraint charges in the deal, which was approved by Judge Peggy Chiampas. Smith’s case continues to work its way through the court system. • A Lakeview attorney who was accused of using his phone to film up the skirt of a woman who was ahead of him on a Loop department store escalator in June 2018 has reached a plea deal. John Billhorn, 57, pleaded guilty to one count of videotaping through clothes, according to court records. Judge Anthony Calabrese sentenced him to 18 months of court supervision. 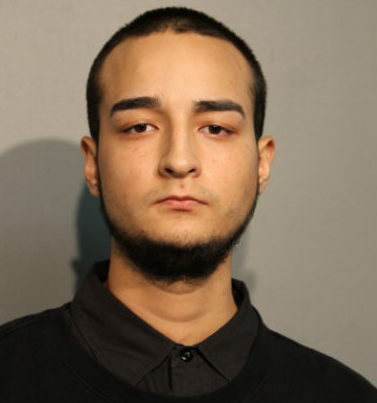 • A Lincoln Square man who was accused of grabbing a woman and choking her during a robbery in the 4800 block of North Ravenswood in Nov. 2017 has managed to avoid prison time. Martin Ontiveros, 19, has pleaded guilty to one count of robbery in a plea deal that called on prosecutors to drop a second charge of aggravated battery-strangulation. Judge Earl Hoffenberg approved the agreement and sentenced Ontiveros to two years of intensive probation and ordered him to pay a $667 fine. Original reporting that you’ll see nowhere else. Donate $49 or more to our operating fund, and you’ll receive a year’s worth of exclusive reports and services. Monthly plans from just $5 available.